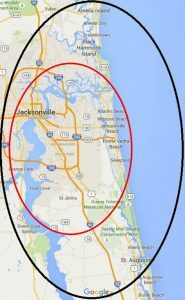 Our delivery area includes: Jacksonville, Jacksonville Beach, Atlantic Beach, Neptune Beach, Ponte Vedra Beach, Vilano Beach, St Augustine Beach, St Augustine, Amelia Island and St Johns County. 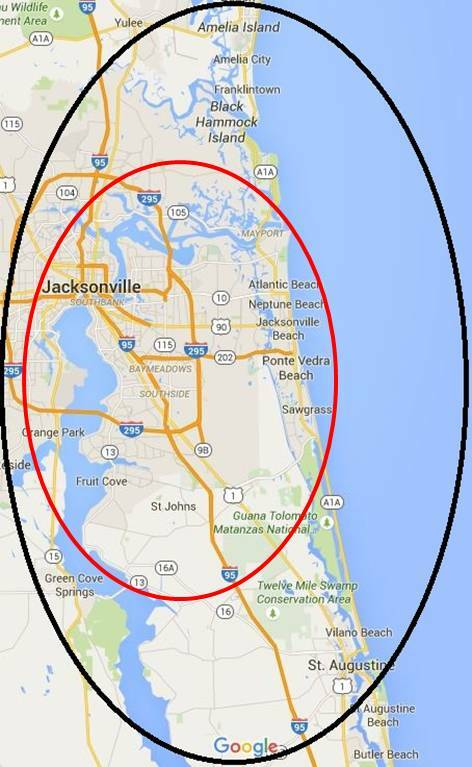 Free Delivery in the Jacksonville area, as indicated below in red. Delivery fee may apply on orders below $180 outside the area in red. Enter the delivery zip code on the shopping cart page for details.